Clients & Profits | System Manager News. You'll find the latest news about hardware, software, networks, and operating systems -- and how they affect Clients & Profits -- here. Edited by Scott Calafiore, CIO. CNET Online, with its groundbreaking design, distinctive voice, and smart functionality, attracts a huge audience that shares their passion for computing and technology. Data Dictionary - describes the data files and fields that can be used in custom reports, exporting, etc. Retrospect - an excellent backup system for both Mac and Windows servers. Disk Warrior - Alsoft's utility for checking and fixing Mac hard disks. Drive Genius - Another utility for hard drive recovery and optimization. Allows (among other things) partition size management without data loss. RealVNC - Free VNC client/server software for Windows PCs and servers. Very useful for remote administration. For Macs, consider Vine Server (formerly OSXvnc) and Chicken of the VNC. In addition to fully supporting OS X 10.5 (Leopard) and OS X 10.6 (Snow Leopard) it also includes many enhancements which were nearly all submitted by users as wishlist requests. Like its predecessor, 10.1, 10.2 is a universal binary and carries all the previous optimizations for Intel-based Macs. WORKSTATION: Any new Intel-based Mac (or) late-model PowerPC-based Macs with 1gb RAM and Mac OS X 10.4 or later. C&P X 10.2 also runs on any late-model Windows-based PC. Supports Windows Vista. SERVER: Apple Xserve running Mac OS X Server 10.4.4 or later or Windows Server 2003. OS X 10.6 no longer includes the ODBC Administrator. Fortunately, another is available here (and it's free and works fine with C&P). Our testing has found no issues with C&P X running in Apple's new Snow Leopard (10.6) operating system. Updating to 10.2.3 will strengthen security in SQL databases (MySQL and MS SQL). Once the database is converted, previous versions of Clients & Profits will no longer be able to connect, due to not meeting the new security requirements. Make sure to update all applications before converting the database. C&P X has been successfully tested on Window Vista 64-bit. The only difference in the installation is the application installs in Program Files (x86) by default. Microsoft SQL Server 2008 is now supported by Clients & Profits Pro (using Express Edition) and Enterprise Edition. Note: there is currently an issue with importing databases using OS X, so please use Windows in the meantime (this applies to SQL Server 2005 as well). Our latest supported version of MySQL is 5.0.51b, which can be found here. If a newer version is installed and isn't working, uninstall instructions for MySQL (for OS X) can be found here. 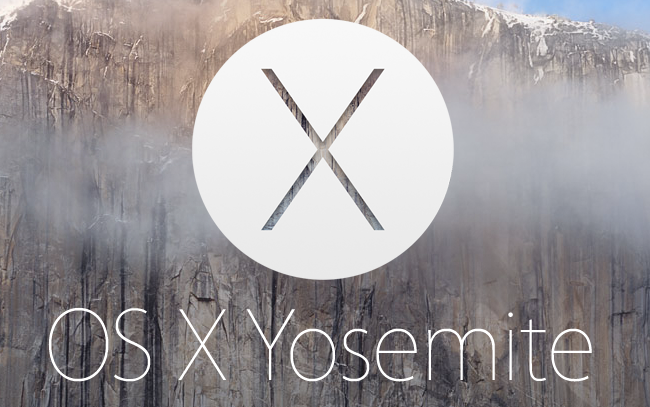 Our testing has found no issues or compatibility conflicts running Clients & Profits Cloud or Clients & Profits X on the new Yosemite OS. We’ll be releasing more information as we have it available. Using Yosemite Server for hosting the built-in database is still undergoing testing at this time. Current versions of Clients & Profits are now fully compatible with OS X Mavericks. Both Clients & Profits X 10.4 and the new Clients & Profits Cloud Upgrade are fully compatible with OS X Mavericks. Earlier versions of Clients & Profits X (10.3.x and below) are not currently compatible. We strongly suggest to users of earlier versions of Clients & Profits that they not upgrade their OS at this time. Our testing has found no issues or compatbility conflicts running C&P X on the new Mountain Lion OS. Our testing has found no issues or compatbility conflicts running C&P X on the new Lion OS. However, testing with the new Lion Server App we have experienced connection issues from Windows based machines to the built-in database format. Currently we only suggest hosting the built in database on Lion Server in all Mac environments. Cross-Platform Sharing - Step-by-step instructions on configuring a Windows server to host a database for both Mac and Windows clients. Saving C&P Reports as Acrobat PDFs - How to use Adobe Acrobat to save picture-perfect digital copies of estimates, invoices, and other Clients & Profits reports. Inspiron Zino HD (starting at $249) Inspired by (or completely ripping off) the Mac mini, Dell has their own small form factor computer, though it starts at a fraction of the price. Running Windows Vista or 7 (both 64-Bit) and with enough power for most productivity tasks, it's a convenient system for anyone with non-power user needs. For the aesthetics-conscious, it offers 10 different designs for the top. MacBook (starting at $999) Recently updated. Improvements include the low 4.7 pounds weight, a 10-hour battery, a brilliant LED-backlit 13" display (1280x800), and the new multi-touch trackpad. Under the hood it starts with 2.4GHz,2GB memory, 250GB hard drive, a 8x DL SuperDrive, and a 256MB NVIDIA graphics card. Outside the office, AEs will find this mac a worthy companion and when they need a little more real estate back in the office, it can support an external display up to the 30" Apple Cinema HD Display. This ready-to-install, easy-to-manage access point offers high capacity, high security, enterprise-class features to deliver wireless LAN access with a low total cost of ownership. Designed for coverage in offices and similar RF environments, this unobtrusive access point features integrated antennas and dual IEEE 802.11a/g radios for comprehensive and predictable coverage, providing a combined capacity of 108 Mbps. With optional Cisco WirelessPLUS software, the Cisco Aironet 1130AG Series may be configured to support the OfficeExtend solution for secure, wireless teleworking.